Here you’ll see your children’s names and the classes/groups you’re connected to through each child. Click 'Close X' to exit your profile information. The children in your family group are not actually users; so you won’t see their contact info when you click on a child. You can see the contact info of a parent/caregiver by clicking on their initials or profile picture. 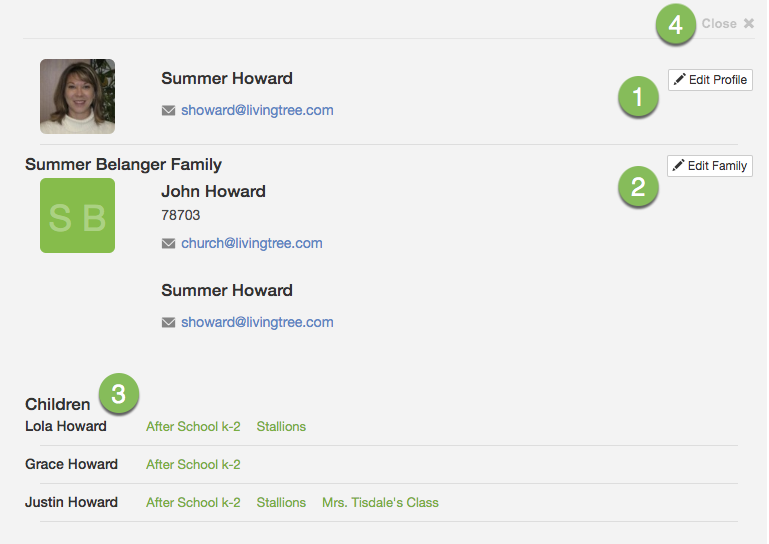 Click ‘Send Message’ to send the parent/caregiver a private, direct message in Livingtree.